The Cinque Terre has a jagged profile along the five miles of rocky coastline enclosed by two headlands. Outcrops of rock overlooking the sea, small coves, bays, gorges, beaches between the rocks are the feature, a unique landscape with crystal clear sea. 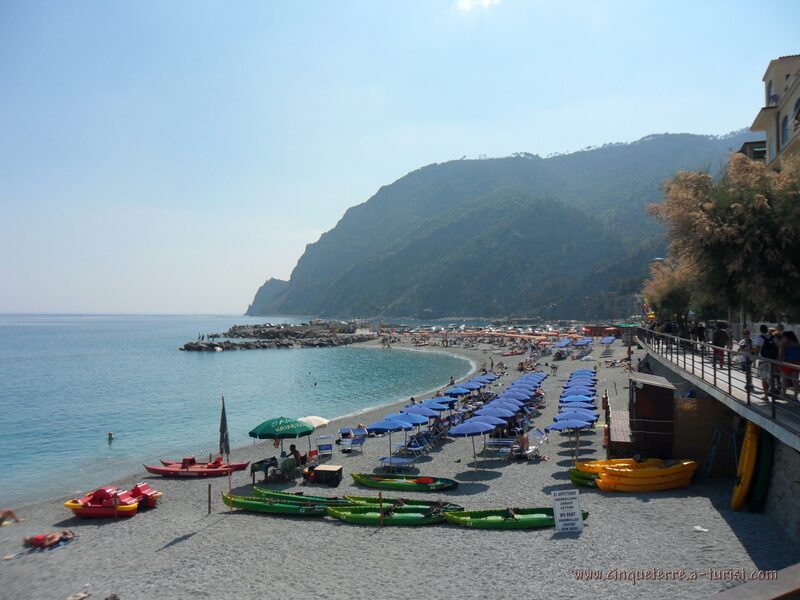 In Monterosso is the most famous beach, the sand with umbrellas and sunbeds and classic, with a pebbly shore. 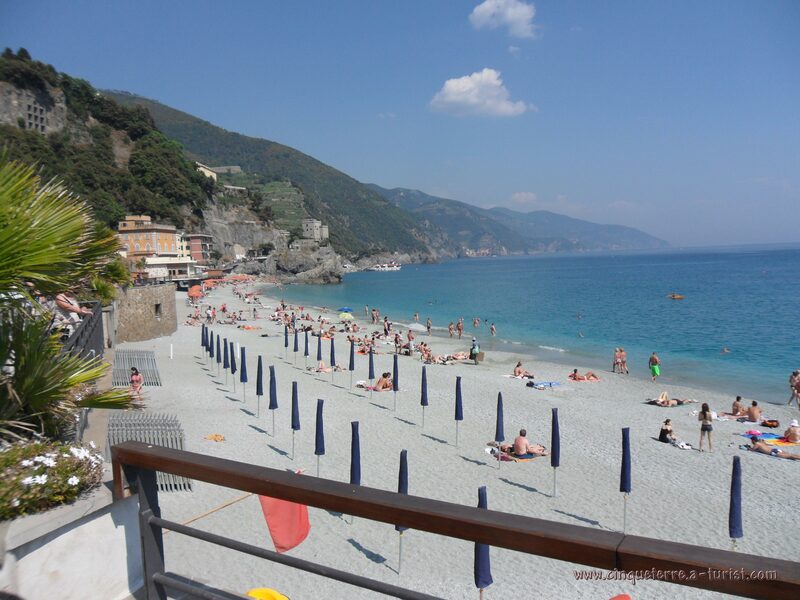 However, the beaches are of pebbles and stones in Corniglia and Riomaggiore. Also there are beaches with stones in Vernazza and Manarola. 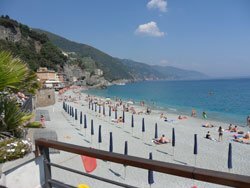 You can find a very famous beach between Corniglia and Vernazza called "Guvano" for nudists.